Not sure what to do with the leftover bottles after the workshop ?? 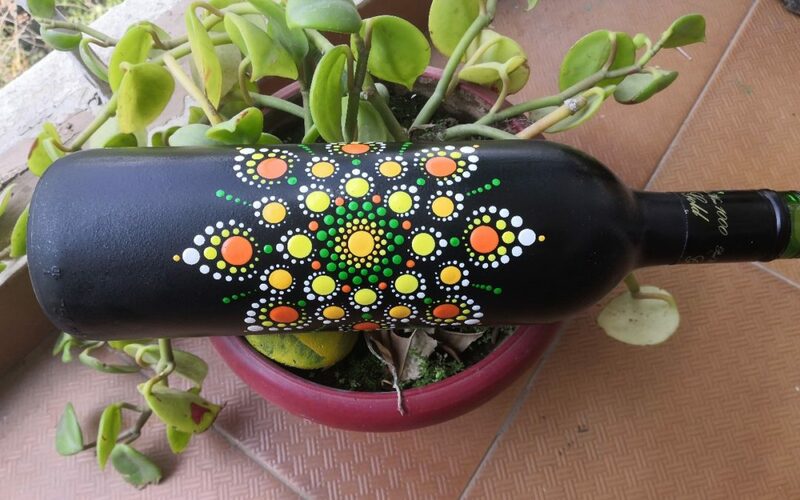 Join us and learn the beautiful art of dotting mandalas and give your bottles a new look again. In this workshop, we will be doing dot mandalas on bottles. You will be learning how to work on a curved base and also methods of layering and sealing the dots. – Kindly do not be in a hurry as the more time you spend in understanding the art will help in all the above-said benefits. – Please be open to ask questions, so you go home with fulfilled knowledge. Do you love art ? Do you want to teach and share this love? If so, come and enroll to teach your skills with us. Business Hours: Monday to Saturday – 10 am to 8 pm. We Operate in: Bangalore, Chennai, Delhi, Guwahati, Bhubaneshwar, Mumbai, Hyderabad.